GReddy Universal Revolution RS Muffler and Tip sets create options for custom (single or dual muffler) applications as well as for vehicles not covered by the current application specific line-up. 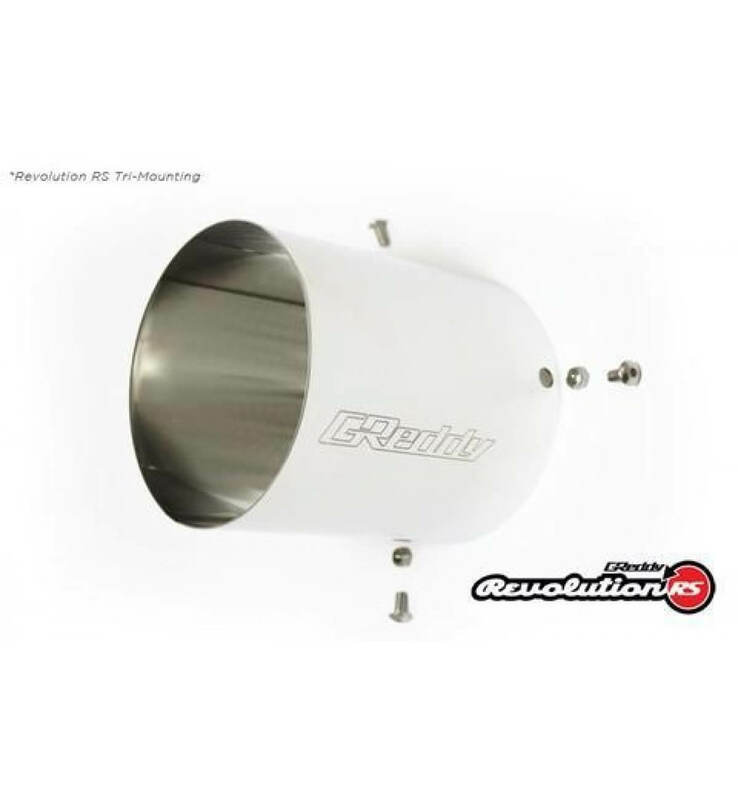 This is a 160mm diameter x L300mm can with 3.0" (76mm) inlet includes a 115mm Dia. x L120mm stainless steel tip. 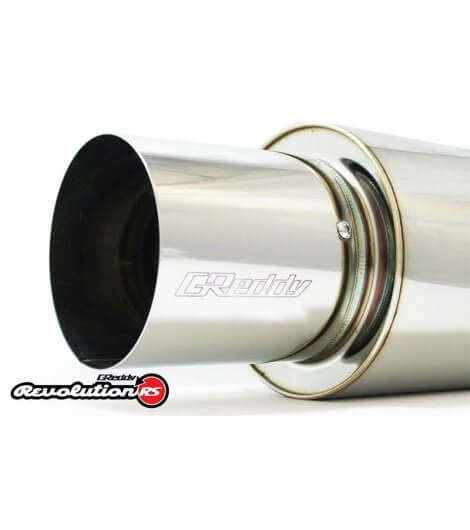 Now with our Tri-bolt removable Tip, optional GReddy RS tips of different length, material and shape are also be purchased separately for even more customization. 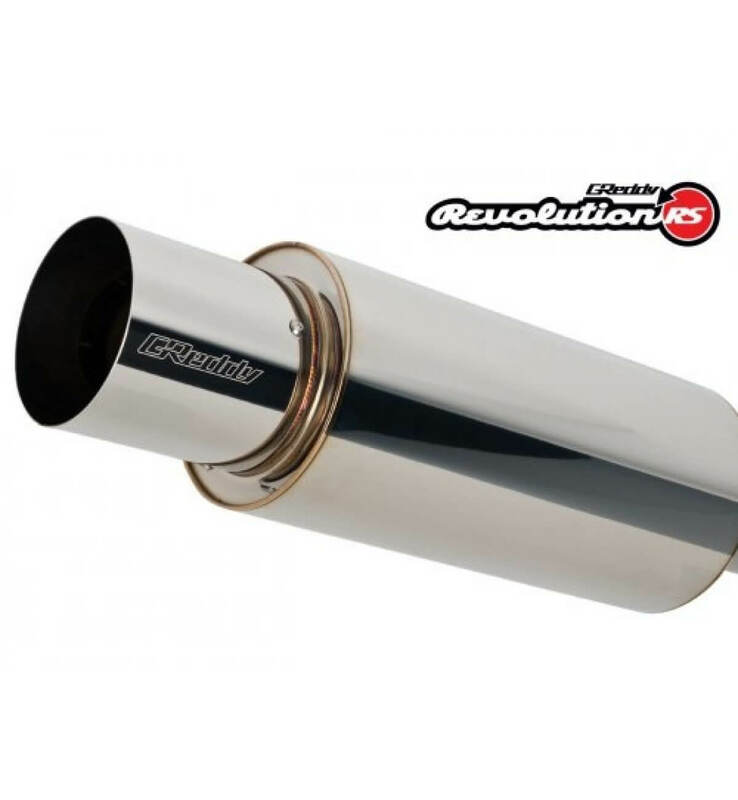 Our signature high-quality, straight-through, universal RS mufflers offer exceptional flow with a clean, aggressive exhaust note. 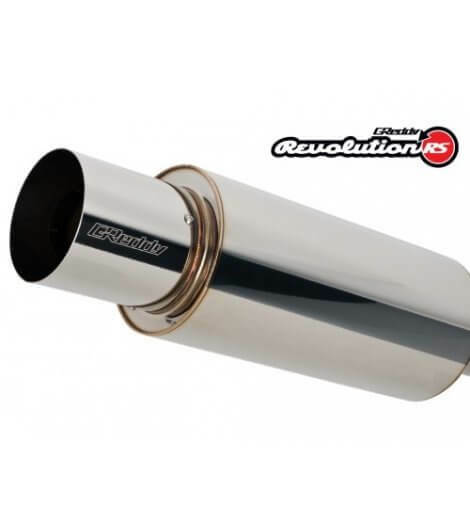 The compact 304 stainless-steel mufflers feature our improved internal construction with long lasting, high temperature-resistant sound suppression materials. For something special, revolutionize your car with a custom GReddy exhaust. 2.5" piping at the back of the muffler for easier welding.